Fair Chase Guide Guilty of Poaching, Wins "Captain of Irony"
There's irony, and then there's irony. 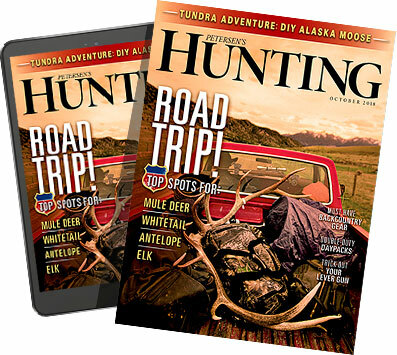 For 76-year-old Joe Norbert Hendricks, a 38-year veteran hunting guide from Alaska, that irony is ringing in his ears to the tune of $125,000. Of all the names he could have chosen, Hendricks owned and operated Fair Chase Hunts, which has been anything but. Hendricks pleaded guilty to 16 counts of illegal big game hunting, all of which took place in the Arctic National Wildlife Refuge. He was ordered to pay damages and to forfeit participation in anything hunting related for five years. Though legally permitted to hunt in the area by the US Fish and Wildlife Service, Hendricks admitted to illegally lending his land to other guides in exchange for money, as well as doctoring the horns of sheep his clients shot and hiding the bodies of other illegally killed game. Fair Chase? We think not. Illegal chase. Unethical chase. But not fair chase. And then there's that one little time where he kinda sorta shot an undersized Caribou, told his employees to hide the body, and then completed a form shortly thereafter saying he didn't even hunt Caribou. Not what we typically think of as "fair." Dear father time, former master poaching guide: "Fair Chase" probably wasn't the best choice for your brand, as it isn't exactly internally consistent with your mission statement. Out of the generosity of our hearts, we at Petersen's Hunting want to offer you a simple two-step recovery program. Step one, when you feel inclined to poach again, go ahead and find your fist and punch yourself in the throat. Rinse and repeat. Step two, when you suddenly get the urge to name anything next time — your dog, a truck, a pet rock — we recommend an outside opinion from an authorized third party. The first part of recovery is admitting you've got a problem. And finally, Mr. Hendricks, we cap things off by naming you the non-meritorious winner of our "Captain of Irony" Award.